Inner Game Coaching – Mental Skills Training Workshops. 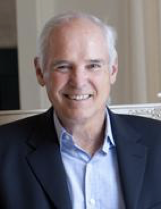 Timothy Gallwey, founder of The Inner Game and recognised by many as the father of modern coaching, will be coming to the UK to present a conference especially for coaches and players of all sports. Coachingkids4selfbelief are honoured and excited to be hosting the event which will be celebrating 45 years of The Inner Game – quite a journey! Inner Game of Golf Workshop – April 30th. Coaching for Gold in Table Tennis. What are ‘Little-Big’ conversations with your players? Child-centred Coaching – Developing focus, awareness, self-trust, confidence and self-belief in our players. Learn How to Train Relaxed Focus. How can we identify a player’s true technical faults?